This story originally appeared on Great Lakes Now and is republished here with permission. Two years after Flint’s lead in drinking water issues finally boiled over and hit the national spotlight, emotions continue to run high on the topic, as evidenced by a gathering of activists and concerned citizens in Chicago on Feb. 13. Panelists speaking at the “Lies and Lead in Water” workshop sponsored by the University of Illinois-Chicago told their stories about trying to cope with lead service lines that are prevalent in many Midwest cities. It was a cautionary tale meant to communicate that lead problems are more than Flint’s problems. Their complaints focused on the slow pace of replacing lead service lines, a lack of transparency on fixing the problem and a perceived social inequity. Many of the lead problems exist in economically disadvantaged areas and in communities of color. “There is a major lead issue in the City of Detroit, so Flint is not the only one struggling with lead issues,” water-rights advocate Monica Lewis-Patrick told Great Lakes Now. “But there seems to be a desire to cover it up and not be as transparent about what it looks like and how it’s harming families in the city,” she said. Lewis-Patrick is President and Co-Founder of We the People of Detroit, a social justice advocacy not-for profit. Detroit has 125,000 lead service lines that transport water to homes and Lewis-Patrick says the city hasn’t shared a plan to deal with those lines. On transparency and communication, Brown disputed Lewis-Patrick’s allegations. Chicago Tribune reporter Michael Hawthorne was a panelist and he talked about Chicago’s lead service line problems. Havrelock directs the school’s Freshwater Lab that co-hosted the event with the Social Justice initiative. 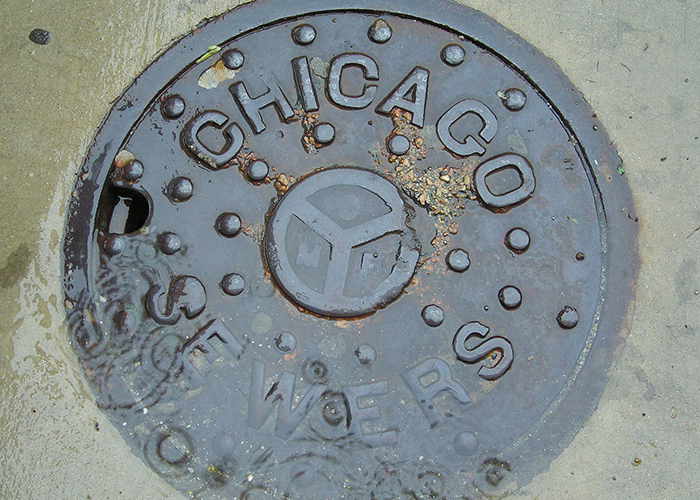 Great Lakes Now asked Havrelock if the event’s title – “Lies and Lead in Water: Poisonous Pipes in Midwest Cities” – reflected a belief that citizens in Midwest cities had been “lied” to concerning lead. Havrelock’s response deferred to an article titled Laws, Lies and Lead in Water on the Freshwater Lab’s website where Virginia Tech scientist Yanna Lambrinidou was the lead author. Lambrinidou specializes in environmental health and is a co-founding member of the Campaign for Lead Free Water. Lambrinidou stood by the use of lies saying “we are talking about lies that are systemic. Many are even embedded in the regulatory requirements of the Lead and Copper Rule,” the federal rule which limits the amount of lead allowed on public drinking water. The panel discussion did not include a representative of a municipality or water department to address the activist’s concerns. The University of Illinois’ Havrelock said she has had an elected official at a similar event. Great Lakes Now asked activist Lewis-Patrick if issues around lead in water were so complex that they would have to be resolved by generations to come.